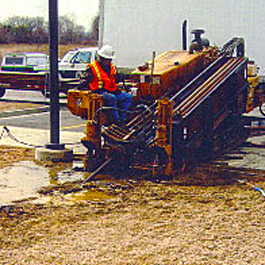 Rehabilitation, underground utilities, road builders, and contractors since 1976. Serving Northern Illinois and areas of Michigan, Indiana, and Wisconsin. 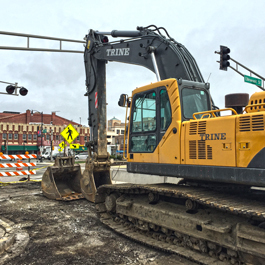 Trine Construction Corp. has been designing and building hundreds of projects in underground utilities, site development, drilling, pump stations, landscaping, sanitary sewer, and municipal & residential rehabilitation projects since 1976. 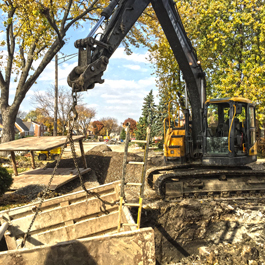 From construction consultation and management to site utility construction, we employ the best professionals and artisans in the business to meet the needs of our clients ranging from individual homeowners to publicly held corporations and local municipalities. One of the most interesting facets of Trine Construction is the makeup of our team of dedicated professionals and artisans. Over time our president, Michele “Mike” Rendina, has assembled some of the most capable individuals in the industry as they apply to each type of work that they are assigned to. 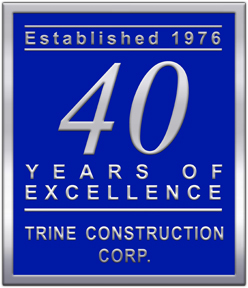 For over 4 decades, Trine Construction Corp. has been trusted by clients spanning government agencies, local municipalities, small and large corporations, and individuals. 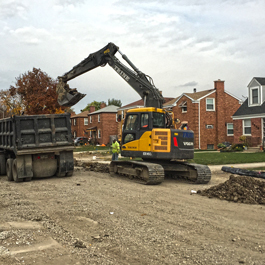 I have worked with Trine Construction on multiple underground/roadway projects in the Chicagoland area and they have been on schedule with every one of those projects. They have been a great partner in these projects providing invaluable assistance and are a pleasure to work with. Sean Marquez, PEProject Manager, R.W. Dunteman Co.
Safety is truly first at Trine Construction. With a 3 year and counting streak of injury free days, our team -- who is 100% O.S.H.A. 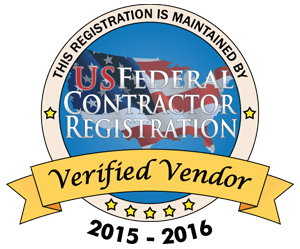 8 hour training certified -- have an average of no less than 10 years of experience in their trade. 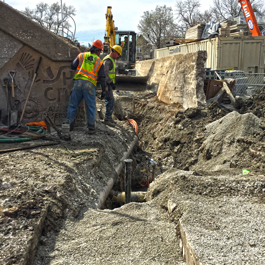 In addition, our entire labor force is trained in CPR for the safety of our crews and our sub-contractors on site. Trine is a recipient of The Public Safety Award and Certifications by the Laborer’s Training Council for our dedication to a safe and efficient working environment. 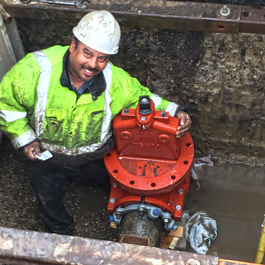 The satisfaction of our clients and the safety and happiness of our professional team are top priorities in our organization. 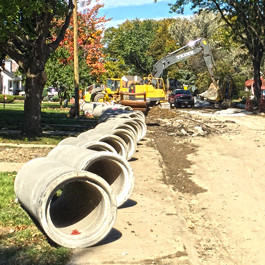 Rehabilitation, underground utilities, road builders, and contractors since 1976. 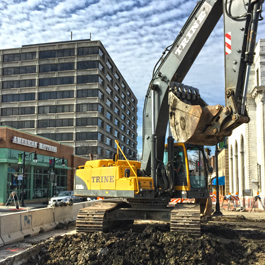 Click here for our convenient online form to get in touch with the team at Trine Construction Corp. We look forward to working with you on your next construction project. Get A Quote!